**Seller will pay up to $10K in concessions with accepted offer submitted within the next two weeks** IMMEDIATE MOVE IN with all the upgrades! 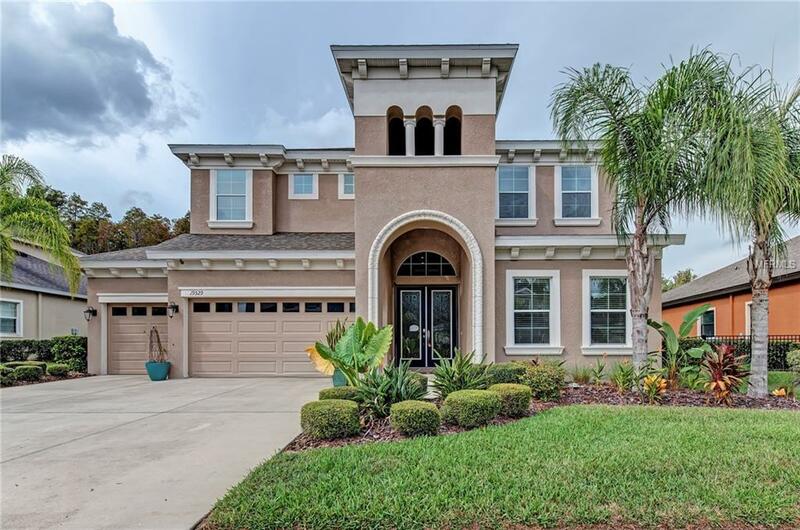 Come see this LUXURIOUS 5BR/5BA pool home with a 3-car garage located in the highly desirable gated community of Lakeshore Ranch. This home has a large open floor plan with the master on the 1st floor. Beautiful tile floors in the main traffic areas. Featuring high vaulted ceilings that give it a SPACIOUS feel throughout. The kitchen is fully equipped with stainless steel appliances, a HUGE center chef's island with breakfast bar, pantry, and granite countertops. The formal dining room has tray ceilings. Master bedroom boast woods floors, two deep walk-in-closets with ORGANIZERS, and an en-suite bathroom including an enclosed shower, soaking tub, and dual vanities. 2nd floor boasts an additional living area that could be used as a loft/bonus room for entertaining! Speaking of entertaining, this home features a SPARKLING POOL that is fully enclosed with pavers, an outdoor bathroom, and overlooks the landscaped backyard and conservation area. No backyard neighbors! And the yard is already fenced. This community has a ton of amenities that will fit your lifestyle. Those amenities include a dog park, community pool, tennis courts, and tons of recreational activities. WOW! What more could you ask for You will love this home. Some photos virtually staged. Listing provided courtesy of Offerpad Brokerage.